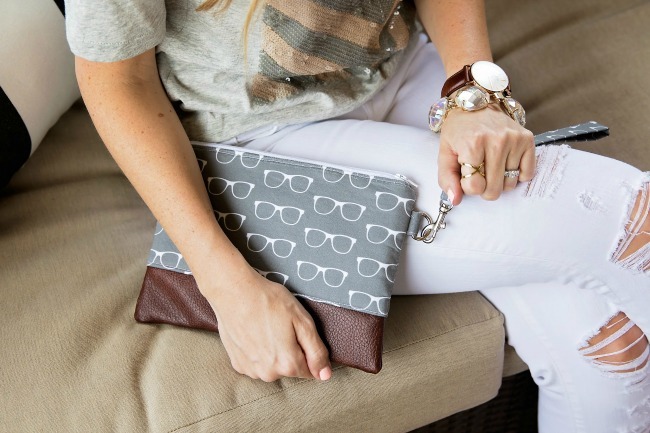 i love being able to share something created by a friend and being able to share this Mommy Clutch is such a treat! 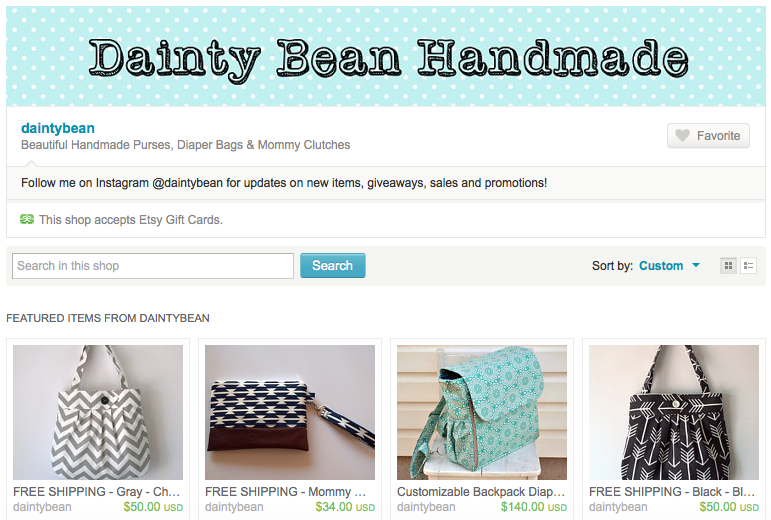 my friend Sarah owns the Etsy Shop Dainty Bean Handmade. she makes custom handmade Purses, Diaper Bags and Mommy Clutches. my children are a little too old for diaper bags but i love the concept behind the Mommy Clutch. the idea is that you can store your credit cards, coins, coupons/receipts, cash as well as extra room for makeup essentials. you can keep all of these items in one place and just swap the clutch from purse - purse or purse - diaper bag, whatever your needs! she offers a large variety of patterns and fabric options. i personally loved the glasses silhouette and look forward to using this all summer, especially when we go from land to boat. i can just grab this and go! be sure to check out her Etsy Shop, Dainty Bean Handmade, to see all the wonderful items she has to offer.